Niva Group, LLC was founded by Nikolay Zagoruyko, and is based in Huntington Valley, Pennsylvania. The award-winning Niva Group services commercial and residential developers and home owners in Pennsylvania, New Jersey, Delaware, Maryland, Virginia. 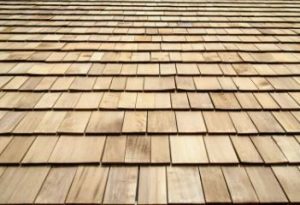 Roofing services include Asphalt Shingles, Metal, and Wood Shakes. Other services include Metal Siding Installation, Vinyl Siding Installation, Fiber Cement Siding Installation, Seamless Metal Gutter Installation, Copper Gutter Installation, Gutter Covers & Accessories Installation. Niva Group is fully licensed and insured, and also offers the option of financing. They aim to work as a team with the customer to produce a successful project. While Niva Group strives to be a leader in the roofing and siding industry, they also seek to provide superior customer service, operating with honesty, integrity, and practicing safety in the workplace. Other goals include treating their staff, customers and suppliers the way they would treat themselves: with mutual respect and sensitivity, valuing their contributions.